The principal sources of water for human use are lakes, rivers, soil moisture and relatively shallow groundwater basins. Water quality in lakes and reservoirs is subjected to the natural degradation, processes of eutrophication and the impacts of human activities. Water quality problems can often be as severe as those of water availability but less attention has been paid to them, particularly in developing countries. Currently additional sustainable ways to mitigate the degradation of water quality are being researched all over the world. Phytoremediation is one of the serious efforts towards the sustainability. Most of the aquatic macrophytes are naturally occurring and well adapted for their surroundings. Aquatic macrophytes have the capability to remove excessive nutrient load from the water that otherwise cause eutrophication of the water body. Aquatic macrophytes absorb nutrient mineral ions from water column and influence metal retention indirectly by acting as traps for particulate matter, by slowing the water current and favoring sedimentation of suspended particles. Aquatic macrophytes also reduce sediment resuspension by offering wind protection. The use of aquatic macrophyte for treatment of wastewater to mitigate variety of pollution level is one of the most researched issues all over the world. Aquatic plant species are very specific for the uptake of nutrients. Owing to this specificity, the selection of the aquatic plant species is one of the skilled tasks prior to the design of a water treatment facility. 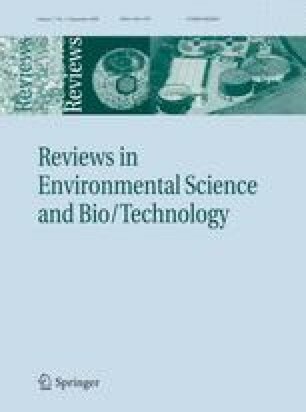 An effort has been made in this review to cover the most researched aquatic flora for mitigation purposes and their possible use in a mesocosm as the selection of an appropriate aquatic plant specie reduce the time and cost of the treatment processes.